Note: In order to register, you MUST do so online or by phone at 718-263-0546. Do NOT go to the location! Nota: Para registrarse, puede hacerlo entrando a nuestra página web o llamándonos al 718-263-0546. ¡No vaya a la locación! What is home improvement contractor training? What does the class cover? What type of work is considered Home Improvement? Home improvement means the construction, repair, replacement, remodeling, alteration, conversion, rehabilitation, renovation, modernization, improvement, or addition to any residential land or building with four (4) or fewer residences or dwelling units and includes but is not limited to the construction, erection, replacement, or improvement of driveways, swimming pools, terraces, patios, landscaping, fences, porches, garages, fallout shelters, basements, and other improvements to structures or land that is adjacent to a dwelling house. Without regard to the extent of affixation, home improvement shall also include the installation of central heating or air conditioning systems, central vacuum cleaning systems, storm windows, awnings, or communication systems. What is not home improvement? The decoration or painting of a building, residence, home, or apartment that is not incidental or related to home improvement work as herein defined. Do I need a home improvement contractor license? Anyone preforming home improvement services in NYC is required to be licensed by the Department of Consumer Affairs. Homeowners doing work on their own homes do not need to get this license. Who does not require a license? Individual employees, including both workers and staff, are not required to be licensed. Plumbers, electricians, and architects are not required to be licensed as home improvement contractors. Home improvement projects with a total cost of $200 or less do not require the performance of a licensed home improvement contractor. I am already licensed by Department of Buildings. Are you sure I still need a license from Department of Consumer Affairs to perform home improvement work? Yes, you need home improvement contractor license from Department of Consumer Affairs to perform home improvement work. How do I get a DCA home improvement contractor license? Applicants are required to submit a package of 11 application forms to the DCA and pass a licensing examination that tests their knowledge of home improvement business law. I am not good at taking exams. Is the licensing exam very difficult? The exam consists of 30 multiple choice questions that cover both legal issues and general industry and business knowledge. Many contractors have decades of practical hands on experience but little knowledge of these areas. The training is therefore specifically designed to help contractors prepare for this licensing exam. With a little bit of preparation anyone can pass. You say anyone can pass. How are you so sure? To date more than 600 contractors have participated in our Home Improvement Contractor Training, and so far everyone who has taken the licensing exam has passed. How much does it cost to take the exam and get a contractor license? There is both a licensing and an exam fee. The licensing cost varies between $325 and $425 depending upon the time of year you apply. I don’t speak English. Is the exam offered in other languages? Yes. The DCA licensing exam is now offered in English, Spanish, Chinese, Korean, and Bengali. 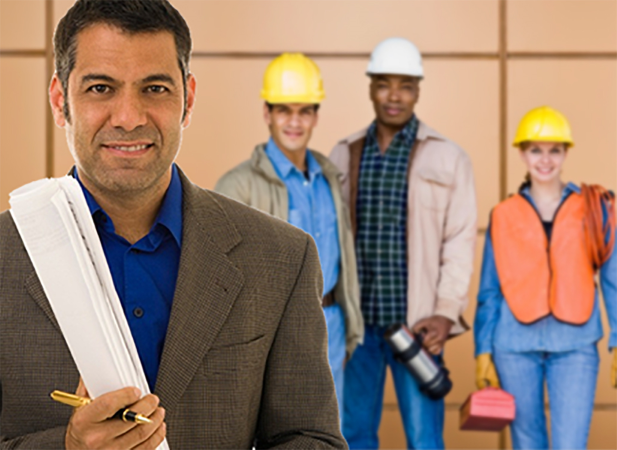 Home improvement Contractor Training is currently offered in English, Spanish, and Chinese. Can I apply for a contractor license in my own name, or does it have to be in the name of a business? Both individuals and businesses are recognized as home improvement contractors. Businesses of course must be registered, but individuals must also register as sole proprietors. Do I need to have insurance, such as liability, workers’ compensation or disability insurance, to get licensed? To receive information about upcoming classes, please fill out this interest form and we’ll contact you when there is an available spot. For more information, please contact us at 718-263-0546 or hict@queensny.org.